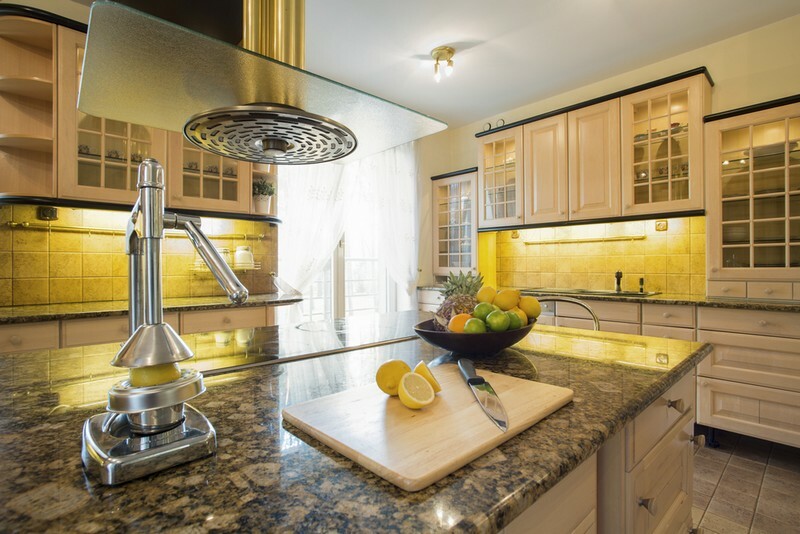 As one of the hardest natural stones on earth that is created from nature and formed by custom fabricators like us, granite remains a popular choice for countertops. At one time, granite countertops were found primarily in expensive kitchens. But today granite countertop installations are by far the most popular stone material for kitchens in general. We specialize in custom design, fabrication and countertop installations for kitchens, bathrooms and business remodels utilizing many natural stone products as well as eco-friendly surface materials. As knowledgeable professionals at 4Evergreen Fabricators, we are here to serve you and to assist you in making decisions about your new countertops. Because granite is highly durable and lasts for a long while, you may want to choose a color that will complement and enhance your décor for the long-term. When you meet with our knowledgeable staff, they can show you a color palette, discuss your design layout, and provide additional information about our granite countertop fabrication and installation services. Call or come by our showroom to see our broad selection of natural stone materials for countertop installations. Why Choose Us When You Want a Granite Countertop? We are experts in design, fabrication and installation of beautiful natural stone countertops that will last for many years. Our knowledgeable staff can help you find a granite countertop that will enhance your room and increase the value of your home.